can come in a variety of options. 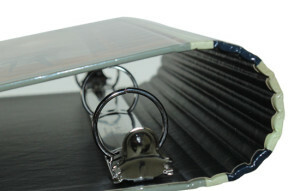 A modern style spine that is scored several times to give a contemporary look for your ring binder. 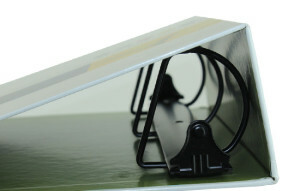 This ring binder spine is similar to a standard flat back spine but has a scored hinge creating a softer edge. 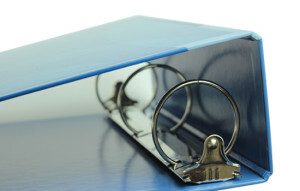 A traditional style ring binder spine constructed of 3-piece board with sharper edges.